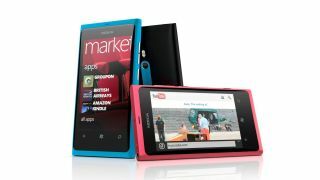 Nokia has released the long-awaited update that promises to fix the Nokia Lumia 800's less-than-perfect battery life. The first Nokia phone to run Microsoft's Windows Phone operating system, the Lumia 800 has been beset by bugs since its release, most notably a very short battery life. The new software (version 1600.2487.8107.12070) is rolling out across the globe from today until April 18. Lumia 800 owners can check on the Nokia site to find out if the update is already available for their country and network. Dinesh, the Nokia employee who announced the update, reports that he has been getting 25-30 hours of battery life with fairly active use (though five of those hours are in flight mode – which is cheating, isn't it?). Other changes include beefing up the Lumia 800's weak bass to improve sound quality in calls and music, as well as tweaking the illumination settings of the soft keys. However, Wi-Fi tethering is still missing, and we're told simply that it's "on its way".